Spend the summer in Ocean Pines! 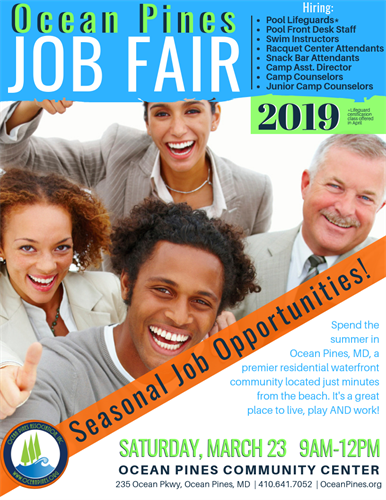 We’ll be looking to fill seasonal positions including pool lifeguards (certification offered), pool front desk staff and swim instructors as well as Racquet Center attendants, snack bar attendants, camp assistant director, camp counselors & junior camp counselors. Call 410-641-7052 for more information.